Персонаж - Leader. Очки: 9/12. Здоровье: 9. 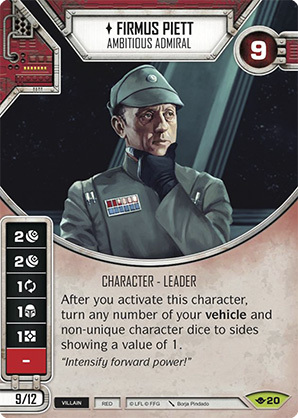 After you activate this character, turn any number of your vehicle and non-unique character dice to sides showing a value of 1. Way of the Force #20.